The Chicago Wino: Think Pink! No, not the singer, but Rosé. I don’t often write about whites (shame on me) so when I come across a white (or pink) wine that is not only tasty but very affordable it almost writes itself. The wine gets some of its color from the grape skins but not enough to consider it “red”. Usually they vary in styles, sweetness levels, and grapes used thus varying in body/depth of the wine. The term Rosé comes from France but has variations of the word depending where it’s from, i.e. Rosado, Rosato). 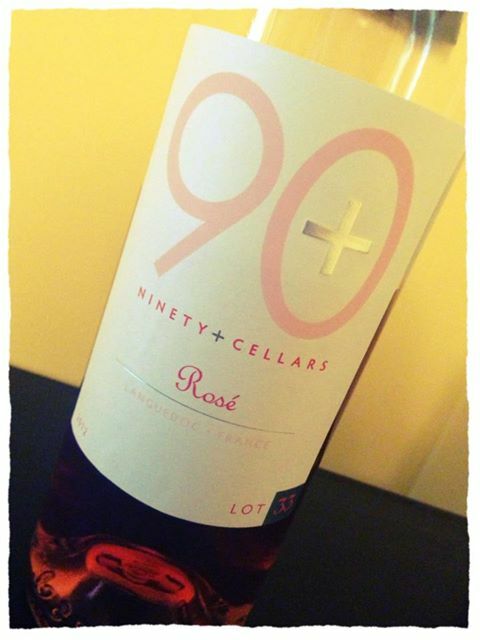 90+ Cellars recently released their Annual Lot 33 Rosé 2012 from France’s Languedoc and did rather well. Ever hear of 90+ Cellars? According to 90+ Cellars “They are a limited collection of wine with a pedigree of awards from some of the world’s most respected wineries that you can buy for less.” Anyways, when I do Rosé I prefer them from France although I recently had a California one that I loved and encouraged me to explore further. This is a blend of Syrah, Grenache, Cinsault, and Mourvedre. For about 12 bucks a bottle (reaping the benefits of what 90+ Cellars does) it’s got a cool nose, not a traditional description…mixed fruit cocktail and ripe strawberries followed by flavors of bright red fruits and crisp acidity – incredibly refreshing on a warm June day! Want something light, fun, and not too complicated? Think pink!